For an aircraft electronics company looking to ramp up production, Derek Wai Hung Tam Sing must have seemed like a dream hire—20 years of experience as an electrical engineer and an extensive résumé. But the Glendale, California resident turned out to be a nightmare for his employer, Rogerson Kratos. 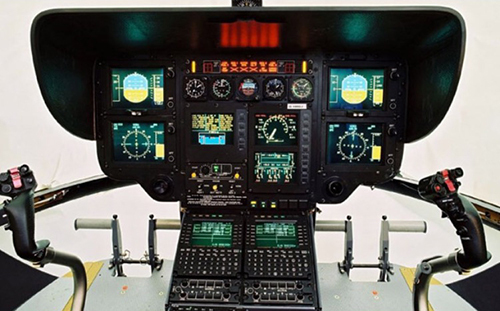 Sing was hired by the Pasadena-based firm in April 2012 to improve avionics systems and circuit boards that would ultimately end up in military helicopters. Before starting work with the company, Rogerson Kratos required Sing to sign a confidentiality agreement prohibiting him from sharing trade secrets with anyone outside the company. Despite the agreement, Sing stole and distributed product schematics to several competitors, violating the Economic Espionage Act. The crimes resulted in an investigation by the FBI, which ended up landing Sing in federal prison. In the seven months that Sing was employed at the company, he often missed project deadlines, struggled with tardiness, pushed back on leadership decisions, and ridiculed fellow employees. Sing’s unprofessional behavior and poor work performance got him fired in November 2012. Disgruntled over the company’s actions, he set on a vengeful mission—according to his testimony at trial, he “wanted to get back at Rogerson Kratos” for being unappreciative of his efforts. In December 2012, Sing packaged up seven different product schematics along with files that explained the importance of the proprietary information and instructions on how to reverse-engineer the products. In early 2013, he used fictitious e-mail accounts to send the stolen trade secrets to domestic and foreign companies that produced avionics products. One overseas recipient of Sing’s communications realized the files contained stolen trade secrets, determined the information belonged to Rogerson Kratos, and alerted the company. In turn, Rogerson Kratos contacted authorities, which led to the FBI opening an investigation in February 2013. Through a series of search warrants, evidence-gathering, and interviews, agents found Sing to be the source of the leaked trade secrets. Sing was arrested and indicted in April 2014 following the FBI investigation. In December 2015, he was convicted of 32 counts of violating the Economic Espionage Act by stealing trade secrets from his former employer. On June 6, 2016, the 45-year-old was sentenced to one year and one day in prison for his crimes.